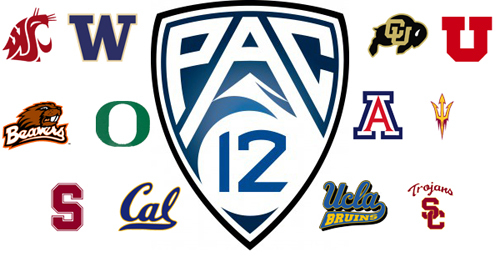 Pac 12 Online Dynasty's 5 years of history! Heres a little history on this dynasty, so the new guys can get a sense of the tradition. The forums began in the 2010 game and have lasted until now and have become a lot of fun as you all will recieve your own media hub to share videos and/or write your very own stories! The 3 of us work more as a three headed commissioner now transferring back and forth and effectively and smoothly running the dynasty as a unit. We just lost our long time Cal coach Urmom901 due to he is having a baby and will not be buying this years game. MrHurriicane the youtube director/commentary has been in the league twice as once as ASU and once as UW. We once had a guy make two accounts and tried to pass it by us until he was caught mid season we kicked both accounts out and he proceeded to make a 3rd trying to get back in. He tried for another 2 years to get in and has failed. This Online Dynasty has been around from the beginning of OD and has housed a lot of great players and created a lot of friends. This year is the worst we have ever had on turnover so we hope it all works out and we add 7-8 quality players that keep up on the field and take the occasionally beating on the forums. Everything here is designed to be fun but serious enough that it works. So have fun and feel free to talk to any of the 3 commissioners if you have an questions or concerns. Have Fun and best of luck as we all pursue the Rose Bowl! Re: Pac 12 Online Dynasty's 5 years of history! I am happy to see that there are still leagues like this around. Even though i do not have a team at the moment I am excited to be on the reserves. In the past i have never found a NCAA dynasty that lasted and had members/leaders that cared enough to keep things running. I was a part of a Madden league for 5 years that had some similar activities such as you guys. I truly look forward to becoming a owner in this league and help carry on the tradition you guys have worked so hard to build(even though i cant play with my precious Gamecocks lol). Anyhow great job on getting everyone up to speed and good luck to everyone who has a team for the upcoming season! !